Ooey-Gooey flavor-bomb egg sandwiches are la mode, but at the Sycamore Kitchen, Quinn and Karen Hatfield have come up with a stacked morning meal that’s as approachable as it is craveable. 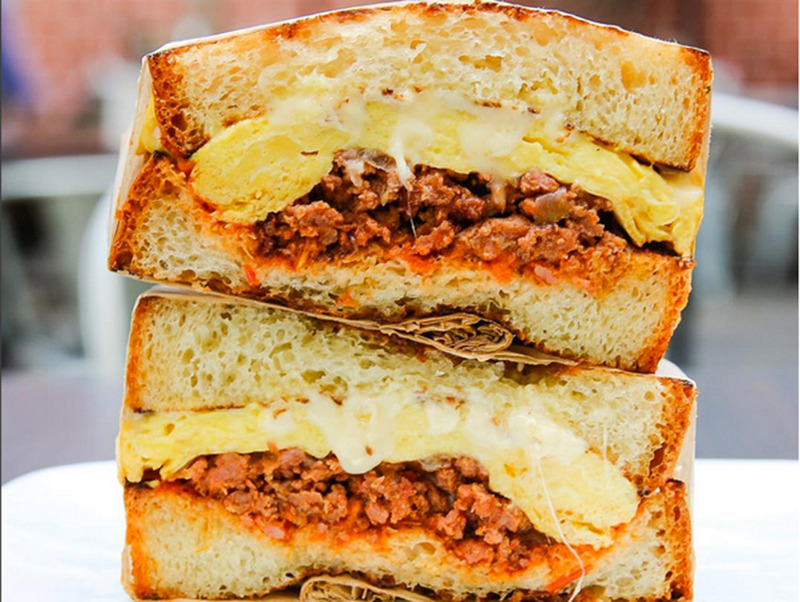 For their SCRAMBLED EGG AND CHORIZO SANDWICH, fluffy eggs, melted Swiss cheese, house-made chorizo, and roasted onions unite in one supersavory bite after another. A freshly baked brioche bun keeps everything intact.